The Galliard, a contemporary Turkish-fusion restaurant, has officially opened at Dubai's Address Downtown Hotel. Founding partner, Ahmet Uras, and his team recently hosted the opening party, which was attended by top media, Dubai’s leading influencers, Hollywood A-listers and VIPs. Guests were entertained by dancing waiters, flamboyant service, a special performance by global superstar Kelis and musical stylings of the talented violinist Hanine El Alam. 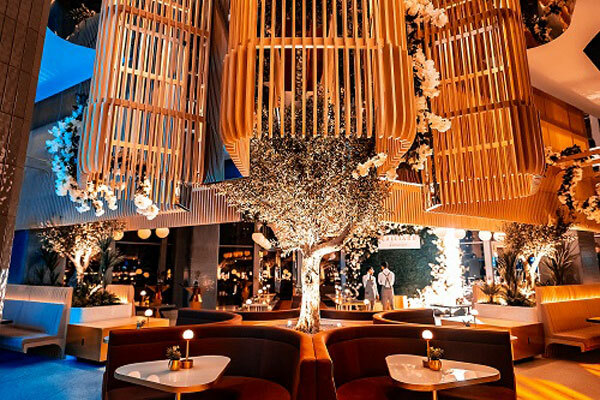 The Turkish concept showcased its exciting facets such as a bustling open kitchen; sophisticated cocktail bar and an open-air terrace that boasts up-close and stunning views of the iconic Burj Khalifa. With captivating interiors, the scenic area incorporates light woods, verdant greenery and memorable flashes of gold. Before entering the sophisticated dining room, the scene is set, simulating an art exhibition as guests arrive through an intriguing passageway including artwork from the well-known Turkish talent, Haydar Ekinek.